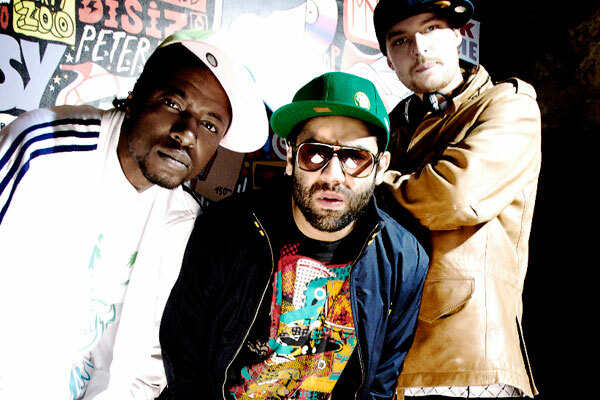 The mighty Foreign Beggars return next week with their new album ‘The Uprising’, and have teamed up with a number of respected names from the Bass Music scene, including; Bare Noize, 12th Planet, & Tommy Lee to create an album that will blow up speakers world wide through a combination of heavy bass drops, massive basslines, & of course some tongue twisting grime lyrics delivered by The Beggars who are simply at the top of their game right now. However, there is one track on the album that stands head and shoulders above the rest of the 12 track effort… That track is ‘Apex’ which has been produced by Aussie duo Rob Swire & Gareth McGrillen, better know by most as the Knife Party! A 110bpm Moombahton track is the spawn of this jaw dropping collab, delivered in both act’s distinctive style, with Knife Party laying down a dark, warped and disturbing bass laced instrumental, allowing Foreign Beggars to do what they do best and spit out a hard hitting lyrical flow. The result is simply fantastic, the track is a definite crowd pleaser, guaranteed to get you jumping for the duration. A single of this track, featuring a remix from Dirtyphonics is available now, and ‘The Uprising’ is set to be released on Deadmau5‘s label Mau5trap on Monday 1st October. Should my glowing words not be enough, check out the official video for ‘Apex’ below.